Read Berries for Blood Pressure by Dr. Edgar Romo to learn more about Romo Chiropractic of Modesto and our Chiropractic office in Modesto, CA. High blood pressure (hypertension) essentially means blood flow through your arteries increases, which can lead to some serious problems over time: we’re talking arterial damage (increasing the risk of arteriosclerosis), coronary artery disease, heart attack or heart failure, kidney damage/failure, and stroke. 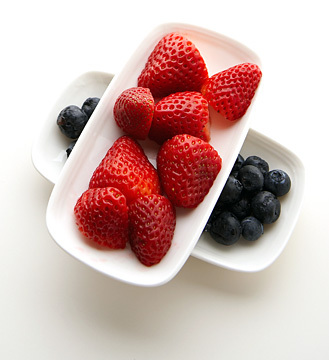 Not a pretty picture, but here’s an easy – and tasty – solution: eat berries! According to a recent study, eating at least one serving a day of blueberries and/or strawberries reduces your risk of high blood pressure by nearly 10 percent compared to eating no berries. Researchers postulate that the blood pressure benefits of berries are attributable to a compound calledanthocyanin, a dietary flavonoid present in blueberries, strawberries and other berries. This wasn’t a small study, by the way; it included 87,242 women who took part in the Nurses’ Health Study II, 46,672 women from the Nurses’ Health Study I, and 23,043 men from the Health Professionals Follow-up study, all of whom were tracked for 14 years to see who developed high blood pressure. And while there were some limitations, the study did account for other potential risk factors for high blood pressure including family history, body mass index, physical activity, and multiple other dietary factors That means it’s more likely the findings are applicable to the general population – that means you! So get your daily dose of berries as part of a healthy diet and active lifestyle – and feel confident that you’re making every effort to keep your blood pressure within normal limits and in so doing, keep your cardiovascular system in tip-top shape for a lifetime.